The next government should create a "centre for social value" to promote the principles of the social value act legislation, according to the National Council for Voluntary Organisations. The umbrella body says in its 2015 general election manifesto, published today, that such a centre would help to implement the Public Services (Social Value) Act 2012, which requires central government and NHS commissioners to take into account "economic, social and environmental wellbeing" when seeking to purchase services from suppliers. The manifesto says the proposed centre would help councils share best practice and assess more stringently the value for money of bids. It would also help voluntary organisations measure and provide evidence of the added social value they bring to public service delivery, the document says. "The social value act was welcomed by our sector and can be a tool for change – but it has yet to be implemented in many areas," says the manifesto. "It will be critical for government to review the current state of public service markets in 2015 and take action to ensure that quality is being upheld and these markets are fit for the future." The manifesto also calls for simplification of the Gift Aid Small Donations Scheme, which allows charities and community amateur sports clubs to claim a Gift Aid-like payment on donations totalling up to £5,000 without individual paperwork. According to HM Revenue & Customs figures published last month, the government has paid out only £7m to organisations in the sector under the scheme, which was launched in April 2013, despite predicting that the GASDS could be worth more than £100m a year. The manifesto says that the GASDS uses overly complicated eligibility criteria and penalises smaller charities with its matching rule, which requires every £10 of donations claimed under the scheme to be matched by £1 of donations claimed under Gift Aid in the same tax year. Other recommendations made in the manifesto include introducing targets for preventive spending and a loan fund to allow public bodies to access capital for major preventive initiatives. 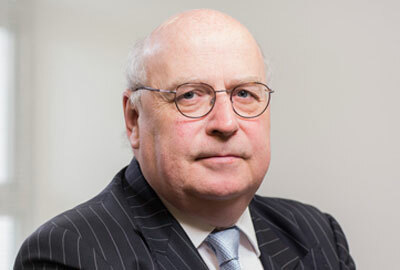 Sir Stuart Etherington, chief executive of the NCVO, said in a statement that by investing in services that addressed health and social problems before they became more serious, the next government could minimise public costs at the same time as helping the most vulnerable people in society. "Charities and volunteers have long been at the heart of running such services and creating new and innovative ways to act early to change people’s lives for the better," he said. Caron Bradshaw, chief executive of the Charity Finance Group, said it was crucial for the government to take steps to simplify red tape and the administrative burden for charity donors. "The government’s Gift Aid Small Donations Scheme has fallen well below the intended target," she said. "If the rules were simplified and made easier for charities to use, a real difference could be made for charitable causes."